Knowing the value of your business can be highly useful if the right buyer comes along and you are ready to sell. Businesses may also need to be valued for other reasons outside of sales, such as for capital gains tax or inheritance tax computations. 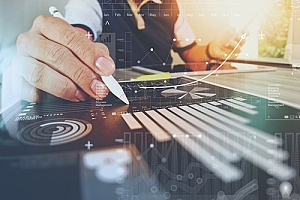 Through business valuation, you can measure your business’s worth based on a unique formula that takes various factors into consideration. Learn more about business valuation and how it relates to the executive planning process. Are you contemplating selling your business in the near future? If so, knowing its true value is critical. Ideally, you want to start the process early, giving you ample time to increase the value through modifications and upgrades to maximize your selling price. Having details about what makes your business so valuable can also be advantageous during the negotiation process. Say that you do not plan on selling your business, but instead want to buy or merge with a separate company. Performing a business valuation can help you better determine if the asking price is fair. While valuation is often a negotiated number, in a merger or acquisition transaction you can make valuations based on appraisals or the stock price. Partners and shareholders in a company do not always agree on the course of action a company should take. When this happens, the affected party may choose to separate themselves from the partnership or may ask that the business by judicially dissolved. A buy-out clause or dissolution in a partnership or shareholder agreement often requires a business valuation. Valuing the business can help determine how much the shares are worth at that point in time which allows a fair transaction to be made. There may come a time when you transfer ownership of your business by gifting shares. By performing a business valuation, you can help make sure that the gift is covered under the laws governed by the Internal Revenue Service (IRS). 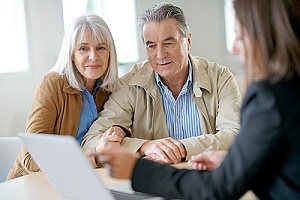 In some instances, a business valuation may be required when filing for an estate tax return for the business owner’s estate or for related tax liability issues. A business valuation may be needed as part of the divorce process. It is common practice to divide assets and liabilities between parties, a process known as equitable distribution. Some items, such as a bank account, are easy to value. However, others can be more difficult to place a value on, resulting in disputes. Before moving on with the business valuation process, it is important to determine whether the business is separate or marital. This will depend on the date of marriage, when the business was acquired, the source of funds that started the business, and various labor and financial contributions made by either spouse during the marriage. If you are a new business still in its startup phase and are seeking capital or investors, you may have difficulty showing your company’s potential without a solid history. A business valuation can be beneficial when searching for investments. If you are a new company, your valuation may be based heavily on your vision and your overall value in the market segment you are offering. Business valuation can also be advantageous for more mature businesses in search of new investors or funding. There are numerous ways for a business to determine their value. The income approach is one of the most common. With this approach, the value of the business is based on its expected income generation. When the asset approach is used, the value of the business is determined by calculating the value of the assets in a business. Market approach is a third approach which uses past shares or sales of your business or a similar business to determine value. While there are numerous approaches, you want to avoid using an old appraisal to determine business valuation. There are various factors that can affect the value of your business and these often change over time. It is important to have a fresh valuation for any new transactions or investments. 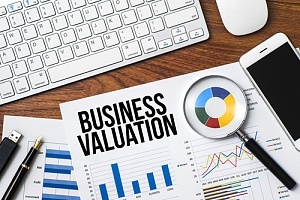 The business valuation process begins with the help of a specialist who specializes in these types of professional valuations. During a valuation, there may be a visual inspection of the property, a check of any inventory your business may have, and a close look at various documents. You will likely need to provide a detailed description of your business, a history of your company, a balance sheet for each quarter for the previous three to five years, financial statements, and a competitive analysis. You will also need to provide other critical details, such as if there are liens or lawsuits against your company or if your business has been audited by the IRS. Business valuation also plays a direct role in the executive planning process. Executive planning services provide business owners with more flexibility when developing benefit compensation strategies. Business valuations can be used to add credibility to your business and can be useful when seeking expansions. With business valuation and other executive planning services, businesses are better able to retain key employees and help ensure that long-term success of their company. However, as the executive planning and business valuation processes can be lengthy and complex, it is important to seek the help of an industry professional. If you have ever wondered how much your business is worth, you may want to consider undergoing a business valuation. Whether you are planning to sell your business or simply need to know how much your company is worth for investment purposes, having this information handy can be useful in a number of ways. If you need assistance with the business valuation process, the brokers at BBG Broker can help. Contact BBG Broker today to learn more about business valuation or for assistance with other types of executive planning services.